After a period of just 10 months from leaving the Spanish capital, club legend and record-breaking manager who lead the Los Blancos to third consecutive Champions League crowns, Zinedine Zidane, has made a sensational comeback as Real Madrid manager, confirmed by the club yesterday. The 46-year-old had a record-breaking two and a half years at Santiago Bernebeau where he won 1 La Liga title, 1 Supercopa de Espana, 3 UEFA Champions League trophies, 2 UEFA Super Cups, and 2 FIFA Club World Cup honors. 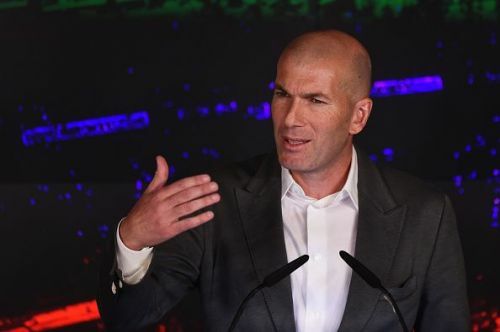 Zinedine Zidane was relieved from managerial duties at the end of May 2018 and the club appointed Spanish manager Julen Lopetgui as his replacement. However, somehow it felt like he is not the ideal man to handle the club. Then, in December, Real Madrid decided to sack him and delegated managerial powers to former player Santiago Solari. Santiago Solari revolution at the stage of Santiago Bernebeau slowly started bearing fruits but then again the reigning Champions of Europe suffered major downfall as they lost two consecutive El Classicos and made an exit from Champions League as Ajax torn them apart in the second leg of last 16. All these have forced Real Madrid to reappoint Zinedine Zidane as their head coach and have offered him a contract which will run until the cessation of 2022. The appointment was confirmed via Real Madrid's official website and the following was released. The board of directors of Real Madrid, meeting today, Monday, March 11, 2019, has decided to terminate the contract that linked Santiago Solari with the club as coach of the first team. Real Madrid appreciates the work done by Santiago Solari and the commitment and loyalty he has always shown to what is his home. The board of directors has also agreed the appointment of Zinedine Zidane as the new coach of Real Madrid with immediate incorporation for the remainder of the season and the next three, until June 30, 2022. There has been a lot of buzzes about this in social media and football fans reacted heavily to this mega off-the-field event. Here are some of the best Twitter reactions to Zidane's reappointment as Real Madrid's manager. Nobody: Zidane returns as Real Madrid manager. People going gaga over Madrid signing Zidane, as if he didn’t finish 17 points behind Barça in the league last season. Now they’re ‘only’ 12 points behind, so he’s still got time to take them to where they belong.